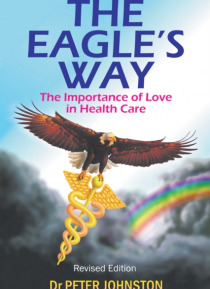 In the Eagles Way: The Importance of Love in Healthcare, the author, a general practitioner, looks back at the changes he has seen over fifty years of study and practice of medicine. Remarkable advances in medicine and surgery have been accompanied by the growth of alternative medicine. He sees the emergence of holistic/integrative medicine as an important development in the evolution of healthcar… e. In this guide, he explores the principles and philosophies of alternative medicine and its complementary relationship with traditional medicine.The underlying principle of orthodox medicine is fighting disease; in contrast, the underlying principle of alternative medicine is embracing disease, an approach consistent with the new paradigm of unity. Both principles are varied yet powerful. He believes that maintenance of scientific standards dictates that most alternative therapies will remain outside the parameters of orthodox medicine but will be complementary to it.Conventional medicine is intellectual, sensory, head-based, and extraverted in its approach, whereas alternative medicine, especially the new psychotherapies, tends to be intuitive, heartbased, and introverted. The latter tends to go with the flow rather than have set standards of treatment. Practitioners of holistic and integrative medicine using both systems are often viewed as the healers of the future. While both systems can offer help to the patient, the most powerful force in healing remains unconditional love in the form of nonjudgmental respect, care, trust, and compassion. Dr. Johnston presents this as the central core of holistic and integrative medicine in The Eagles Way.